Rain for Rent Company provides full service and solutions in liquid handling. Rain for Rent was founded in the year 1934. The Rain for Rent provides solutions for Refineries, Government, Pipelines, Construction, Mining, Environs, Power, Oil and Gas, Agriculture, Manufacturing, etc. The company has its operation at various locations in United States of America and in Canada. The services of Rain for Rent are in the areas of System Design Service, Managed Emergency Response, Fusion Services, Construction Site Services, and Pump Training. The company products are pumps, tanks, boxes, filtration, spill containment, irrigation system, light and power, instruments, piper and hoses, etc. There are currently 0 consumer reviews about Rain for Rent available. Share your review. Please take a note that you are about to post a public review about Rain for Rent corporate office on CorporateOffice.com. This review will be public, so please do not post any of your personal information on this website. 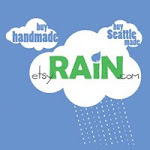 If you would like to contact the corporate offices of Rain for Rent, please use their contact information such as their phone number, website, and address listed above to contact them. However, sometimes staff from Rain for Rent headquarters do read the reviews on this website.